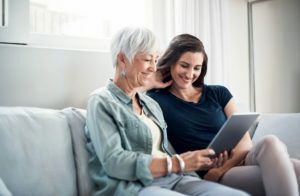 Community Connectors help friends, family, colleagues and neighbours to easily access the support that matters to them via our online directory. They can also work in our network of Talking Cafes or with groups and organisations in the community to help people find support, activities and information that can benefit their health and well-being. How a Community Connector can support you. Community Connectors are very good at joining up local communities and provide a bridge between local people and health and well-being services. All Community Connectors are locally trained and are part of the Health Connections service. Why do we need Community Connectors? There are great opportunities in our community but sometimes people don’t know about them. The more people there are that know about the support that is available in the community, the more we can all support each other. Would you like yourself or someone you live with or care for or even work with to be more connected to support?